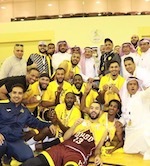 Defending champion Uhud Medina (SBL) inked 30-year old American shooting guard Musa Abdul-Aleem (196-100kg-88, college: Troy). He played recently at Beirut Club in Lebanese LBL league. In four games he averaged 6.5ppg and 3.0rpg this season. Abdul-Aleem also played for AS Sale (D1) in Moroccan league. In 2015 he was drafted by Austin Spurs (D-League) in sixth round (99th overall). 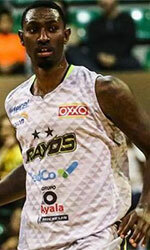 The former Troy University standoutis in his fourth season in pro basketball. Abdul-Aleem is a very experienced player. He has quite traveled the world as his pro career brought him to eight different countries on five different continents (Europe, Asia, Latin America, Africa and of course North America). Abdul-Aleem has played previously professionally in Chile (Universidad de Concepcion), Greece (Kymis), Mexico (Ostioneros de Guaymas), Uruguay (Trouville), Venezuela (Trotamundos), Dominican Republic (San Carlos), Saudi Arabia (Al Fateh) and El Salvador (Santa Tecla).